Will tax breaks boost Private Health Insurance? In 2017 Chinese authorities begun offering tax incentives to encourage middle-class families to purchase private health insurance. Beginning July 1, individuals who buy eligible insurance products can reduce person income tax by up to 2,400 yuan a year. The tax cuts fall under a host of reforms aimed at rethinking health care provision for the nation’s vast and aging population. For most people in China, health care means public hospitals; treatment is partly paid out of pocket and partly reimbursed through compulsory insurance provided by their employers or state pension. Reforms aim to give patients more choices and ease the burden on the public purse. Market solutions are playing an increasing role in health care: According to state news agency Xinhua, the number of private hospitals in China more than doubled from 2010 to 2015. By the end of 2015, there were 14,500 private hospitals, accounting for 52.7 percent of total hospitals in the country. The government hopes that greater uptake of private health insurance, alongside the rapid growth of private medicine, will reduce pressure on overworked, overcrowded public hospitals. But public awareness of and consumer confidence in private health insurance is low, even among those who can afford it — and most of the products eligible for tax cuts under the recent policy still only reimburse treatment at public hospitals. There are two main types of private health insurance on the mainland: The more popular products are life insurance-like critical illness policies that pay out lump sums if the policyholder is diagnosed with certain conditions. If the holder makes no claims within a set period, their premiums will be returned with interest, meaning the policy operates as a form of investment or retirement plan in addition to offering indemnity. On the other hand, health insurance policies that reimburse treatment are often seen as a waste of money, as there is no return if the holder makes no claims — though these policies typically offer more comprehensive coverage. 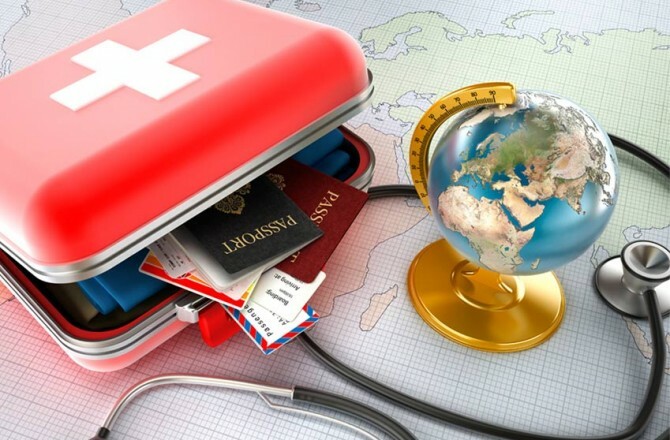 Only about one in 20 people in China has a reimbursement health insurance policy, according to a 2016 joint report by global business consultancy Boston Consulting Group and reinsurance company Munich Re. Though the market for private health insurance saw consistent year-on-year growth of around 31 percent between 2010 and 2015, more than 70 percent of its 241 billion-yuan value in 2015 was made up of critical illness policies. 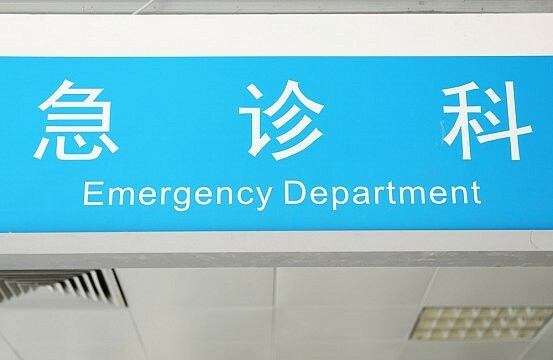 But as indemnity policies for critical illness do little to support the growth of China’s burgeoning private hospital sector, authorities are working to promote private reimbursement health insurance that covers outpatient consultations as well as inpatient treatment. Tax incentives for purchasing private health insurance were piloted in 31 cities including Shanghai and Beijing beginning Jan. 1, 2016, but only a handful of domestic insurance companies have offered eligible products. Most of the eligible insurance products target employers rather than individuals. The report above forecasts that the market for private health insurance in China will increase fivefold between 2015 and 2020, and that reimbursement policies will see the fastest growth. Government tax incentives can help foster the mindset that health insurance is necessary and financially advantageous: once people buy the incentivized insurance, they are more likely to research and consider other private health insurance options in the future. The number of foreign companies in the Chinese market is increasing, but the dominant players in China’s private health insurance market are large domestic insurers. The three largest health insurers are Ping An Health Insurance Company, PICC Health Insurance Company and China Life Insurance. China Life is the largest domestic life insurance company (and the world’s largest life insurer), with 10% of its total premium income derived from health insurance. Other large Chinese health insurance companies include Hexie Health Insurance Company, which is part of the Anbang Insurance Group and Kunlun Health Insurance Company. When it comes to appearing to a Chinese audience on the internet, there are multiple factors about your website you need to consider: your host servers location and domain suffix being two of the most important. Similar to how location based search works in the western world, a country code top level domain (ccTLD) is a still a very beneficial element in ranking with in China. 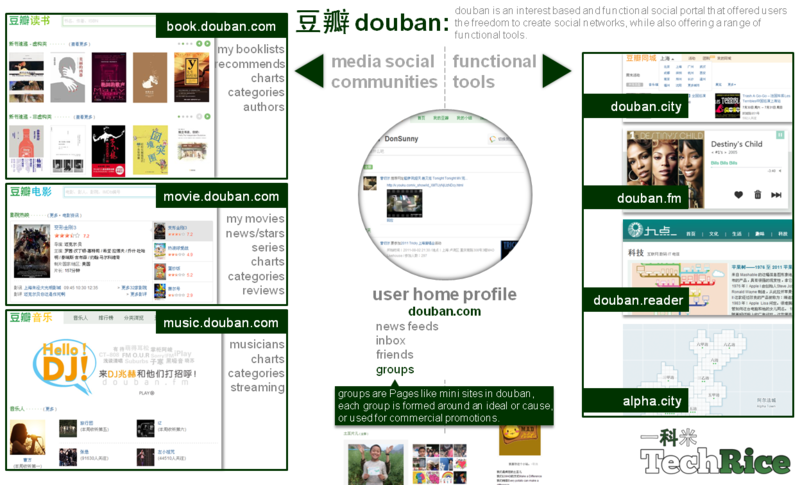 Ensuring you have a .cn domain will go a long way to ranking well organically in China. Generally non Chinese businesses should always register both the .com and .cn domains to specify that they are both international and well as operating in China. 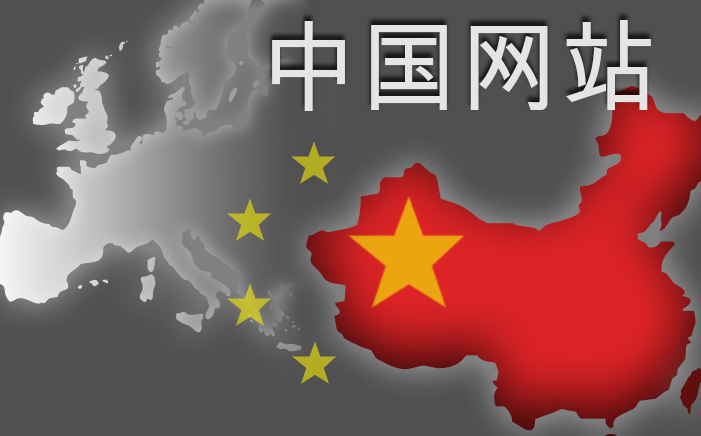 Additionally .com domains are often seen as more trustworthy in the eyes of Chinese consumers. Shorter domains are always better since they are easier to remember. If you use several English words in your domain: placing hyphens in between words will make it easier for Chinese Internet users to remember as well as providing good keyword definition for search engines. If you are unable to get your site hosted on the mainland, Hong Kong is both a viable and effective option, which also has the added benefit of allowing your site be fast for International users. Having a website hosted on a Hong Kong server would not require and ICP number and is generally as fast as a Mainland server. Unfortunately this method would slightly reduce a sites organic search engine ranking on Chinese search engines such as Baidu (site performance is a major component in their ranking algorithm. So provided the site loads well and quickly for Chinese users, this is not a major issue). Avoid shared hosting: if someone with the same IP address as your site is blocked, then your website will also be blocked. Use a dedicated server or VPS with a unique IP. Saurav Bhattacharyya is the Managing Director of China Web Designers, a Beijing based web design and development company. In its 13th Five-Year Plan, the Chinese government aims to reduce energy intensity by a total of 15% between 2016 and 2020. It is already well on its way toward achieving that goal. At China's National People’s Congress earlier this year, Chinese Premier Li Keqiang reported that China’s energy intensity fell by 5% last year alone. Renewables are one reason for China’s declining resource intensity. Hoping to become a world leader in the field, China is already investing more than $100 billion in domestic renewables every year. 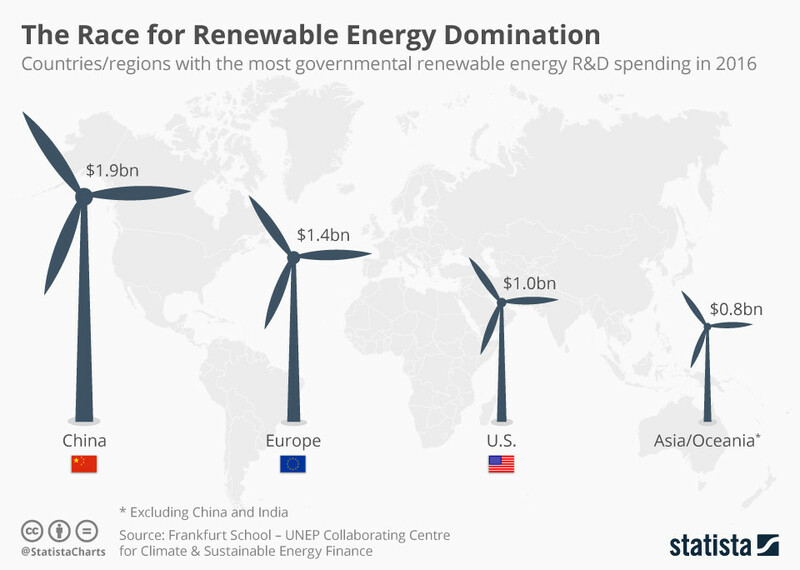 That is twice the level of US investment in domestic renewable energy and more than the combined annual investment of the US and the European Union. Moreover, the construction of solar panels and wind farms in China has outpaced upgrades to its electrical grid, creating a great deal of waste. 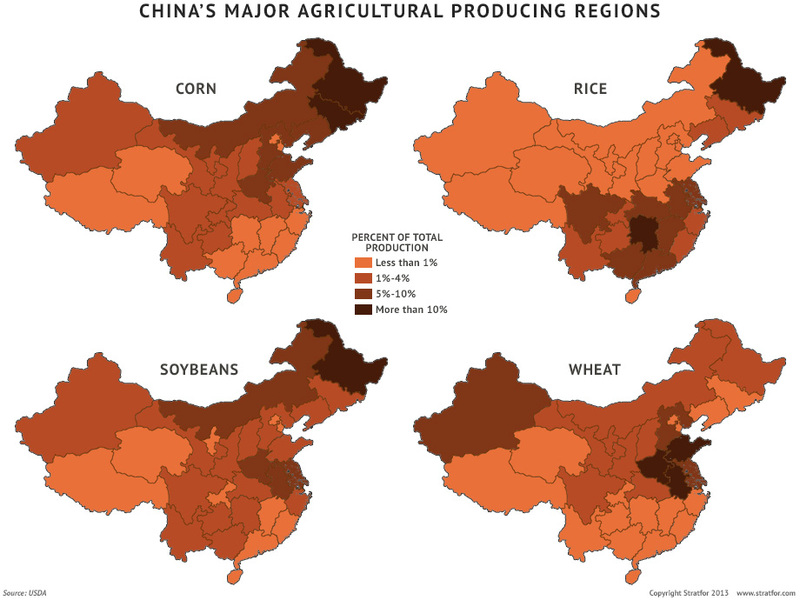 And Chinese producers, like most others, are feeling increasing pressure to reduce costs and improve efficiency to make up for slower demand growth worldwide. Despite these hurdles, technological innovation should help Chinese producers realize productivity gains and deliver savings to consumers. According to MGI, by 2035, changes in the supply and demand for major commodities could result in total cost savings of $900 billion to $1.6 trillion worldwide. Jiang Kejun , Senior researcher, Energy Research Institute of China’s National Development and Reform Commission. The much spoken of ‘One Belt, One Road’ (OBOR) initiative, launched in 2013, is fast coming to fruition. In this piece we take a look at the major new routes of global trade. 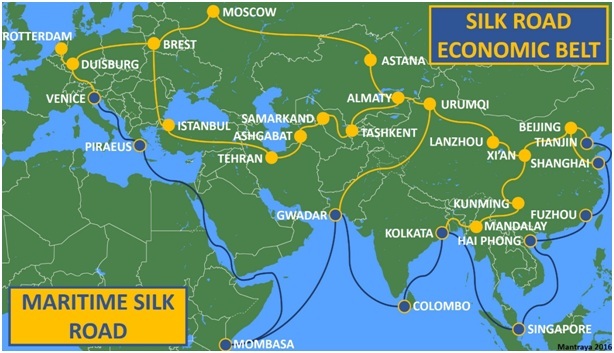 The five major goals of the Belt and Road Initiative are: policy coordination, facilities connectivity, unimpeded trade, financial integration, and people-to-people bonds. The Belt is an adaptation of China’s historic Silk Road, a land-based trade route linking East and West. In its modern incarnation, a land-based Silk Road Economic Belt starts at China’s Luoyang and ends at Port of Hamburg in Germany. It ties in with a maritime Silk ‘Road’, focusing on Chinese coastal ports, that begins at China’s Quanzhou and ends in Rotterdam in the Netherlands. (1) The Eurasia Land Bridge Economic Corridor – an international railway line running from Lianyungang in China’s Jiangsu province, through Alashankou in Xinjiang to Rotterdam in Holland. These new rail routes offer freight transport, as well as the convenience of ‘one declaration, one inspection, one cargo release’ for any cargo transported. (2) The China-Mongolia-Russia Economic Corridor – the three heads of state agreed to bring together the building of China’s Silk Road Economic Belt, the renovation of Russia’s Eurasia Land Bridge and the proposed development of Mongolia’s Steppe Road. This will strengthen rail and highway connectivity and construction, advance customs clearance, promote cross-national cooperation, and help establish the China-Russia-Mongolia Economic Corridor. (3) China-Central Asia-West Asia Economic Corridor – this runs from Xinjiang in China and exits the country to join the railway networks of Central Asia and West Asia and reaches the Mediterranean coast and the Arabian Peninsula. (4) China-Indochina Peninsula Economic Corridor – this corridor will deepen the relations between China and the five countries in the Indochina Peninsula. (5) China-Pakistan Economic Corridor – the two countries will proactively advance joint projects, including highways, a new international airport, a new economic zone, and the China-Pakistan cross-national optic fibre network. (6) Bangladesh-China-India-Myanmar Economic Corridor - OBOR could be the bridge that restores relevance for both Britain and Europe to China; it will keep Britain in the European fold post-Brexit. Following the financial crash in 2007/08 the changes in world trade that had been developing were revealed. East to South and South/South trading patterns took predominance in driving the world economy and the old West to East paradigm was shattered. When people talk about China’s tech scene, there are the obvious giants: Baidu, Alibaba, and Tencent. Then there are the big state-linked firms (the telecoms, Huawei, and ZTE), the internet players (Sina, Qihoo), and the hot mobile startups (Xiaomi, OnePlus). But there’s a Chinese company that often doesn’t get mentioned as one of the big names: LeEco formerly LeTv. Just a couple of years ago it primarily operated a streaming video site. But as its popularity grew, Letv (over 50 million daily users & over 730 million active monthly users) has rebranded into LeEco and branched its business out aggressively in numerous directions: it now operates 7 Ecosystems. The company now makes smartTV`s as well as smart phones and smart bikes. And a whole range of other smart devices and electronics. It has a cloud computing division. It offers internet finance products. It’s working on a smart electric car. It now has a music division (Le Music), a film division (LeVision Pictures), and a sports division (LeSports). What was once just an internet video company has branched out into a multi-armed technology and entertainment company. Recently, LeEco has been taking a different tack: splashing cash to acquire a wide variety of companies. In late spring, LeEco spent almost US$500 million buying two Chinese real estate companies so that it could expand into that space. Just a few weeks ago, it bought US TV maker Vizio for US$2 billion. This week, it was confirmed that the company has nabbed a bigger chunk of Chinese smartphone maker Coolpad. It was also confirmed recently that LeEco is working on some sort of deal with Netflix (at the end of last year Letv marked another milestone in its globalization - Le Super TVs started to be sold in the US). At present, Le Eco has been officially established in the US, India, and Hong Kong and the "Beijing-Los Angeles-Silicon Valley" strategy has proved hugely successful from its conception. There are genuine questions about some of LeEco’s funding habits, and whether or not the company can sustain its breakneck pace of expansion that it has been keeping up over the past several years. But with a market cap of more than US$13 billion, LeEco is already bigger than some of China’s most storied internet and tech companies. LeEco is both polarizing and opaque: some think the company is one of China’s most innovative and exciting tech firms, however until some of LeEco’s bigger projects – like that smart electric car come to fruition it will be difficult to judge whether their expansion has been thought out. LeEco is now a major player in China’s tech scene, with the ability to influence industry sectors ranging from streaming video to smartphones to autonomous vehicles. LeEco certainly hasn’t overtaken any of China’s true giants – it’s not yet on the level of a Tencent or an Alibaba. But increasingly, it can be argued that LeEco deserves a spot at the table, and a place in the conversation. At the start of the year Alibaba announced that they had crossed the RMB 3 trillion mark in gross merchandise volume (in excess of $450 billion USD). Founder and CEO Jack Ma has now announced that the company's dream is to reach 2 billion people around the world with his business and hit a transactional volume of $1 trillion. That would make them the equivalent of being the fifth largest country in the world by GDP. 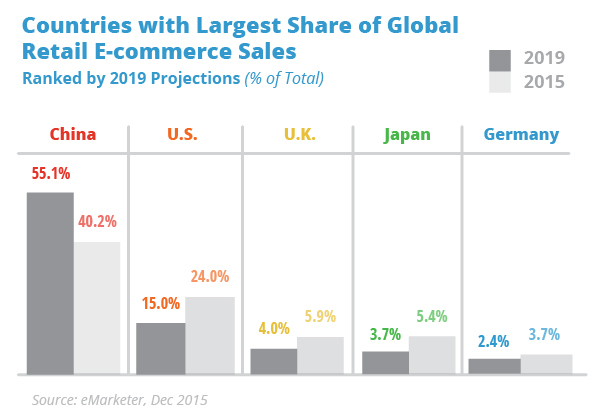 China's e-commerce market is dominated by Alibaba. 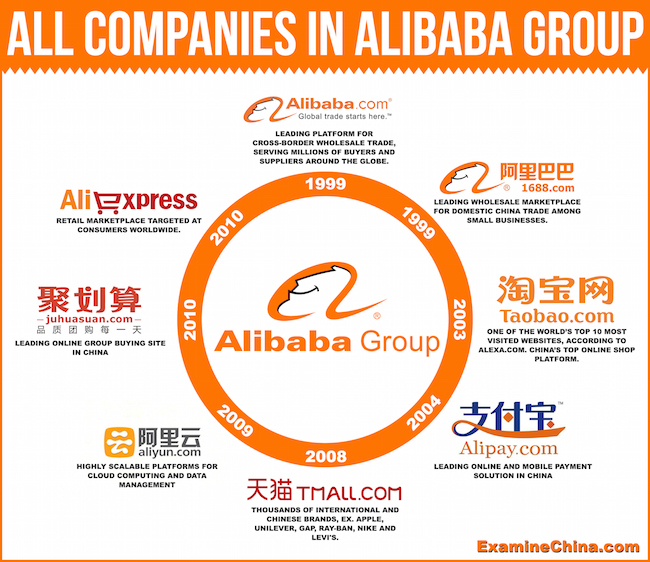 Though the company operates through a unique combination of business models, Alibaba's core business resembles that of eBay. Alibaba acts as a middleman between buyers and sellers online and facilitates the sale of goods between the two parties through its extensive network of websites. The largest site, Taobao, operates as a fee-free marketplace where neither sellers nor buyers are charged a fee for completing transactions. Instead, the nearly 7 million active sellers on Taobao pay to rank higher on the site's internal search engine, generating advertising revenue for the company. While the majority of sellers utilizing the Taobao website are smaller merchants, Alibaba also has a dedicated space for larger retailers: Tmall is the e-commerce site owned and operated by Alibaba that caters to well-known commercial brands that would normally operate on the high street. Even though Tmall has a fraction of the number of active sellers listed on Taobao, Alibaba is able to generate revenue from deposits, annual user fees and sales commissions charged to retailers utilizing the site. In addition to its e-commerce sites, Alibaba has emerged as a player in the Chinese financial system. To combat customer concerns over the security and validity of transactions completed online, Alibaba created Alipay. As a secure payment system, Alipay protects buyers in the event sellers are unable or refuse to deliver goods sold. In addition to this platform, Alibaba also generates revenue from its newly launched micro-lending business arm that caters to individual borrowers. Alibaba's marketplaces are obviously their core revenue streams. As such, these will be the biggest drivers of growth. As of the most recent quarter, Alibaba had 423 million annual active buyers and 410 million monthly active users and transactional volume for the quarter was $115 billion - a 24% increase over the same quarter last year. However the Chinese market is yet to be fully penetrated, by their own estimates they currently only reach about 55% of potential consumers. 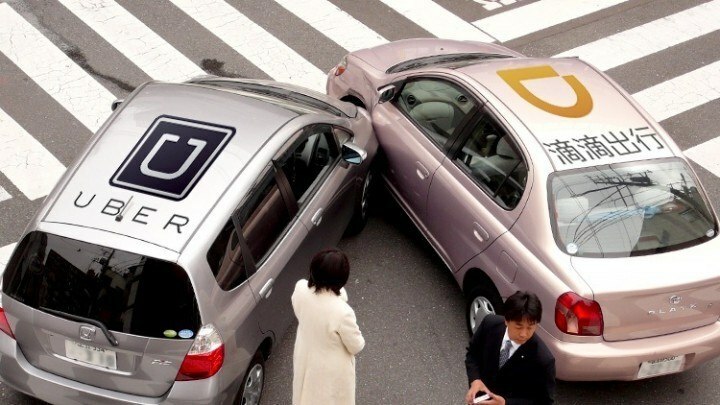 Furthermore it still does not have enough traction in international markets to claim the kind of long-term growth that they would require to become a truly global household name. The next growth driver for the company is a brand that many do not recognise, but is nevertheless growing at a tremendous rate that may one day outdo its rivals: the cloud and specifically Aliyun Cloud. With data centers around the world having a first quarter of 2016 growth of 175% it is definitely a growing entity which Alibaba is well positioned to grow in part due to preferential government policy, regional focus and domain expertise. Aliyun certainly has the potential to become one of the growth drivers of Alibaba's future considering it currently accounts for less than 2% of its revenue. The entire global market is potentially at their doorstep, not only for marketplace services, but also cloud capabilities. Not forgetting their other web and content properties like UCWeb with 400 million users, content distribution platform Youku Tudou (newly acquired) and web payment service Alipay, which has 400 million registered users and a transaction volume of $519 billion (as of 2015). Established in 1989, Goodbaby Group is China's largest and the world's leading provider of infant and children's products such as strollers, car seats and child safety devices. Goodbaby is a professional production, manufacturing and design company with customers located in more than 70 countries and regions worldwide. According to a survey from Frost & Sullivan, in each sale of 1000 baby carriages in North America, Europe and China, 435 come from Goodbaby Group. In 2007, Goodbaby Group was listed as one of the `Top 50 Fastest-growing Companies in the World' by Boston Consultancy. Currently, the company owns four global R&D centers, 11 subsidiaries, has 35 branch offices and more than 13,000 employees worldwide. Today they have over 3,200 stores in China, including multi-brand children's shoe stores, Mothercare shops and baby superstores, but this number is due to grow to 7,000 to 8,000 in the next few years in the wake of the relaxation of the One-Child-Policy. The group has another listed company: Goodbaby International Holdings Ltd, which was floated on the Hong Kong stock market in 2010. It focuses on baby-care products design, production and sales, while Goodbaby China will sell those products in its network of shops. Analysts believe China has more than 16 million to 17 million babies born each year adding that baby-related products had in recent years triggered a billion dollar market estimated $46.5 billion in 2016, involving both Chinese and Western players who needed to understand each market's specific needs. To capture this opportunity Goodbaby launched a stroller called Pockit, able to be folded and carried onto passenger planes, which became an international best-seller. The group added two further brands it acquired in 2014: Germany's Cybex and US brand Evenflo. In particular to capture, the market for medium and high-end baby products. Procter & Gamble (China) Ltd.